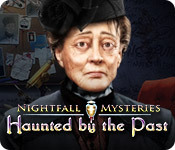 Nightfall Mysteries: Haunted by the Past is rated 4.2 out of 5 by 9. Rated 5 out of 5 by Kimmycoo from A Great Story! Loved the story line. I love playing HOG where the situations are something that could very well happen. This game had a lot of beautiful scenes and unique mini games and hidden object puzzles. I really liked this game. I loved finding the tapes throughout the game and playing them in the audio recorder. Great voice overs. Great job developers and all involved with the making of this game! Rated 5 out of 5 by Italia47 from Give the ol' girl some breathing room, please! My rating is based on the completed SE version. Talk about murder mayhem! Vengeance is the key word here, folks! I felt as though I was watching a great murder mystery on Masterpiece Theatre. Also, Birdie, the widow, resembles a well-known, British actress. The voiceovers were good, and I loved the challenging puzzles, and, of course, the storyline. Unless I missed it in the credits, Birdie's voiceover was not mentioned. The game flow was awesome. The map was great, and there was a decent hint button if needed. Though this game didn't have all the whistles and bells, it had a lot of variety and balance that I expect in a game. I was totally engrossed in this game. BigFish devs are to be commended! I thoroughly enjoyed this mystery game--my first actually. I highly recommend this game! Rated 5 out of 5 by denniann2 from another detective story it has an interactive map and a custom level. you are there to find out what the secret is of all the people dying. you encounter many different people along the way and they come up dead eventually. you are trying to find out who is behind this. Rated 5 out of 5 by confused9988 from Nightfall Mysteries I think this is a pretty good game. It has a good story so it's like reading a book. I like it that i don't have to go all over the game looking for where something goes. It's distracting from the story. The mini games have been fun. Sounds are not annoying, good music that just blends in with thought processes. Rated 4 out of 5 by pennmom36 from A Tragedy in Haven Rock Christine has just learned that her Grandpa, Charles Crenshaw, has passed. Not from a letter, not from an attorney, not even from a distant family. Nope, she read about her Grandpa's passing in the newspaper! If that isn't odd in itself, grandpa was writing a letter to Christine, telling her that he was being followed and he was fearful for his own safety. He signed this letter of desperation simply, Charles, not Grandad or even Grandpa Charles. There are 15 audio tapes hidden around the town, which also seems strange to me. Some of the tapes are recorded by granddad Charles, some recorded by granddad's caregiver, Lily. Who does that, who sit's down, pops in a blank cassette, records a 30 second rundown of another person's behavior, and then hides the cassette in the church, or in another random building for safe keeping? 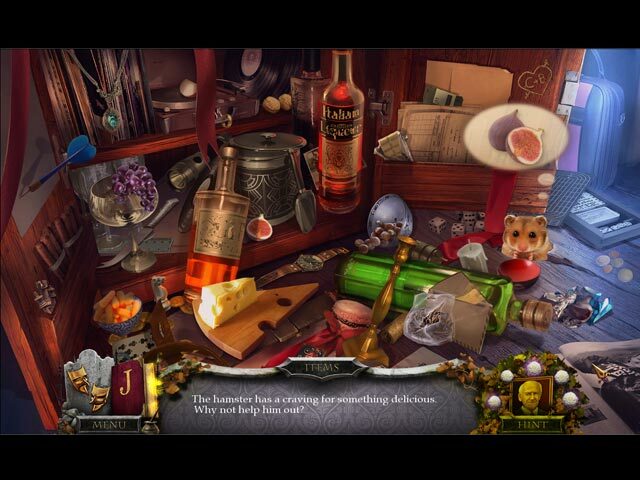 The hidden Object Scenes are a hodgepodge of variations, interactive silhouetted shapes, requiring you to find items that match the silhouetted shape shown, standard list finds, and finding several items of one kind such as 12 napkins. The most unusual HOP, required you to find items to feed a very hungry hamster, one at a time as indicated by the hamsters "thought bubble". 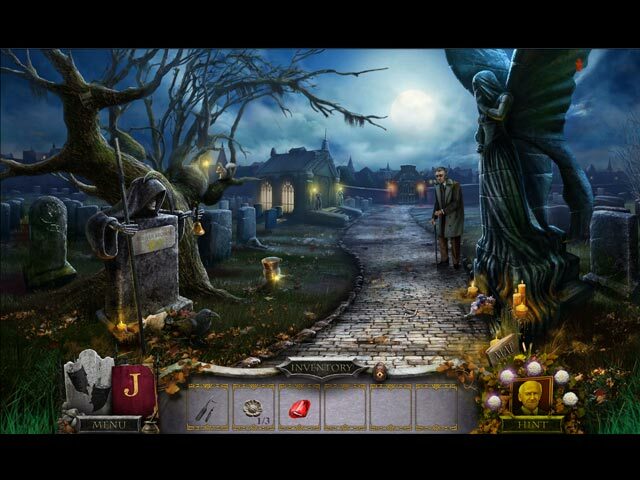 Some of the Hidden Object Scenes are repeated, however, the second time around is usually a different style of HOP. 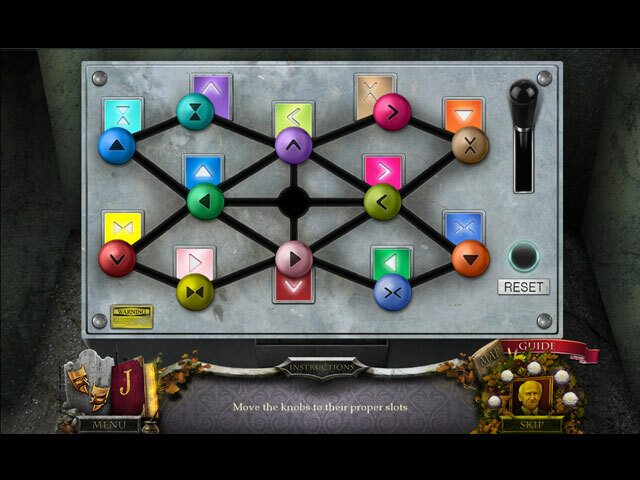 The Mini Games are good, nothing new, but nothing mind boggling either, such as lighting all purple candles and distinguishing all yellow candles (clicking on one candle would affect the results of other candles) Another game required you to swap tiles to create pathways that allow a blue, green and purple gem to travel from the top to the bottom. The Collectors Edition has 15 Audio Cassette Tapes (also available in this SE) to locate, 46 hidden Masks, an Art Gallery, Wallpaper, Music, Achievements, re-playable Mini Games and Hidden Object Scenes, a built in Strategy Guide and a Bonus Chapter, enjoy! Rated 3 out of 5 by synergistician from Enjoyable Challenges without theStress I gave it a 3 even though IMO it was really was just barely a 3. The characters were stiff and waxlike with no mouth movement and facial expressions did not fit the dialog. Dialog was sometimes different than what was contained in the screen font. The story was a little weird but believable. The HOPs were generally easy but varied between finding a regular object, finding a riddle object, and silhouettes. The puzzles were neither hard or easy. General screen pictures were sometimes different from the click on pictures. The most enjoyable aspect was the multiple actions (9-15) for each scene with 5 individual segments and 4-5 scenes per segment. While generally more of a walk through of 'figure it out' kind of game, there were some challenges. Nothing fancy or outstanding, just a fun pass the time game. Rated 3 out of 5 by charlene_lane from YOU WILL BE VERY SURPRISED WHO KILLED CHARLES Review from completed Game and Bonus. In this game you play Christine, the granddaughter to Charles, along with your husband Viggo, to find out who killed Charles. There are: * Voiceovers (with dialogue); * Easy, Normal, Difficult and Custom modes; * Interactive map; * Journal; * Listen to the audio tapes. The graphics are mostly quite good. There are a few cluttered scenes where I had to look carefully around. Colour is good and not garish with lots of pinks and blues, etc. Sound and music are fine. Music is mainly piano and orchestral. There were a good variety of hidden object games. These predominantly were straightforward and silhouette. There were a couple of HOS where a question was asked and you answered by getting the correct item. Some of the HOS were very cluttered and hard to see, but eventually I slowly got them all. The mini-games were quite good and had a good variety. Some of them were sliding puzzles, balance the scales, direct light through the prisms; matching pairs; matching keys; putting out yellow candles and keeping purple candles lit; rearranging tiles, copy the tune of the piano keys, etc. None of these were too hard and I didn't spend much time on them. I found I didn't need to use the interactive map at all. You don't venture off more than a few steps and you tend to stay within the same area until all tasks had been completed. Personally I think this game is much bettered suited as a SE rather than a CE. The reason for this is in the CE you can replay the HOS and mini-games and collect the theatre masks. However, doing a couple of extra puzzles may not be enough for some fishies (myself included). So if you are tossing up between the two, then get the SE. Happy playing fishies.